Well it’s been a while since I updated this blog, so lots to talk about. But in this entry I’m going to focus on a number of great restaurants I’ve been to over the last couple of weeks. I’ll start with Bocca di Lupo, an Italian restaurant nestled on a side street in Soho. I was really surprised how small the restaurant was, which added greatly to the atmosphere. The menu is a great combination of sharing food and full dishes. Pretty much anything on the menu comes in two portion sizes, which is great if you want to sample as much of their food as possible. The menu also changes daily. Particular highlights for me were the Courgette Flowers with Mozzarella and Anchovy and the Sea Bream Carpaccio which we shared. As an anchovy cynic I was a bit unsure about the Courgette Flowers dish, but thank God someone else gave it a whirl – the flavour in such a small mouthful was surprising! Paul had Roast Suckling Pig & Grapes as his main which was fantastic although a massive portion. I had the Saltimbocca alla Romana which was a brave choice for me. Very enjoyable but think I’d try something else next time! Desserts were also a triumph, and I’d be interested in going to their shop across the road, Gelupo, for gelato at some point. Another restaurant we went to over the last few weeks was our tried and tested Thai local, Thai Room, located in Bow Wharf. What looks a bit like a portakabin from the outside is actually a lovely, cosy restaurant that serves some of the best Thai food I’ve eaten. Part of the fun of eating in a great local restaurant is ordering the usual faves! It’s a bit like digging out your favourite jumper when summer starts turning to autumn – comfortable and cosy! We ordered Drunken Beef, Crispy Trout with Three-Flavoured Sauce, Green Curry with Chicken and Pad Thai. All fantastic as usual. I was lucky enough to eat in two of my absolute London favourites over the last few weeks. Whilst they sit at extreme ends of the ‘Price Per Head’ scale, I get such huge enjoyment from eating at both of these places – Gaucho and Mien Tay. I do get pretty giddy at any excuse to eat at either and often know what I’m going to order from the moment I find out we’re going! 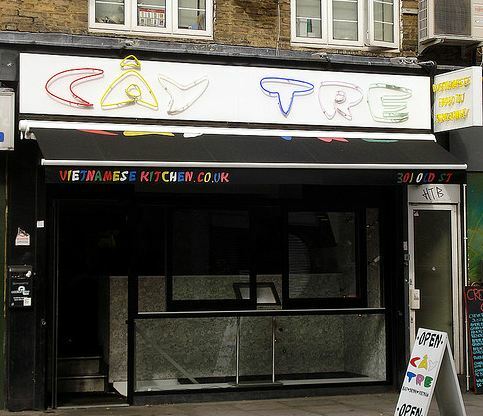 First up was Mien Tay which, in my humble opinion, is the best Vietnamese on the Kingsland Road. Not only is the food phenomenally good, it’s cheap AND it’s BYO with no corkage fee. I literally couldn’t ask for more! I went with a group of work friends so we didn’t necessarily all share dishes (which I think is the best way to eat at Mien Tay) but I did manage to get some of the classics onto the table. The Crispy Sea Bream with Lemongrass and Chilli was great but, if anything, slightly drier than previous times I’ve ordered it. The Quail with Honey and Spices was as good as ever and I think garnered a few converts! Perhaps the best dish this time was the Beef Wrapped in Rice Paper which I’m sure few people order because the name belies the flavours involved! All in all a great meal – all washed down with some good red wine at Off License prices. Perfection. This week Paul and I went to my other ‘treat’ restaurant – Gaucho. This time we went to the one in Canary Wharf, and felt very extravagant by going on a Tuesday! This was the first time we’d gone back to a Gaucho since going to Hawksmoor (Seven Dials location), so I was interested in seeing how they compare. Hawksmoor was fantastic and I’m a bit of a cocktail obsessive, so their cocktail menu won me over right from the start. Add in Oysters with Sausage as a starter and I’m pretty much in heaven. Could Gaucho, part of a chain, still deliver? Erm, YES. Definitely YES. We had a brilliant time. We decided to forego the starters and skip straight to the steak – I had my usual 300g Rump whilst Paul went a little off piste and went for a 300g Fillet. Both were unbelievable good – great flavour, cooked to perfection and with a Bearnaise sauce on the side I was a happy bunny. We followed this up with some cheese – I always enjoy it when the waiter shows the cheese selection and the strategic decision to avoid starters was well made! Shame they don’t do Malbec chutney anymore though – it’s now two types of paste. A Malbec paste and a Torrontes paste – both lovely, but that chutney was special! 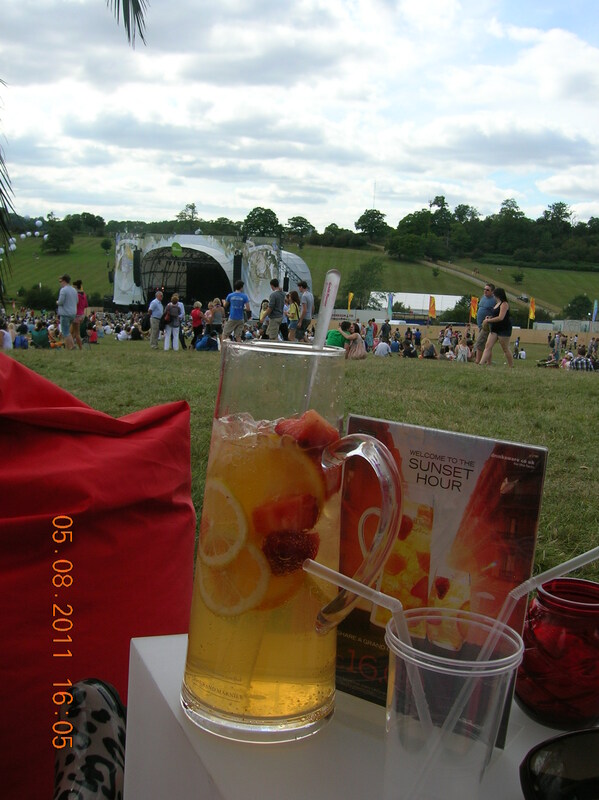 Finally, Paul and I went to the Big Chill Festival a few weeks ago. Not only was I concerned about the toilets, the crowd and the weather, I was also worried about the food options (in no way am I the sort of person to take a camping stove and watch some pasta boil for 3 hours). Turns out there was no need to worry about anything, especially the food! We both ate like Kings with a huge range of options.It is a truly global affair as I enjoyed food from France (Boulangere Potatoes with Sausage), India (Vegetarian Thali), Lebanon (Mezze), America (Potato Wedges! ), Britain (Pie, Mash, Peas and Gravy) and North Africa (Spicy Fish Bourek – a type of filo parcel). Add in Paul’s choices from Jamaica (Goat Curry), Thailand (Green Curry) and Greece (Harissa Chicken Wrap) and we covered a hell of a lot of the globe! 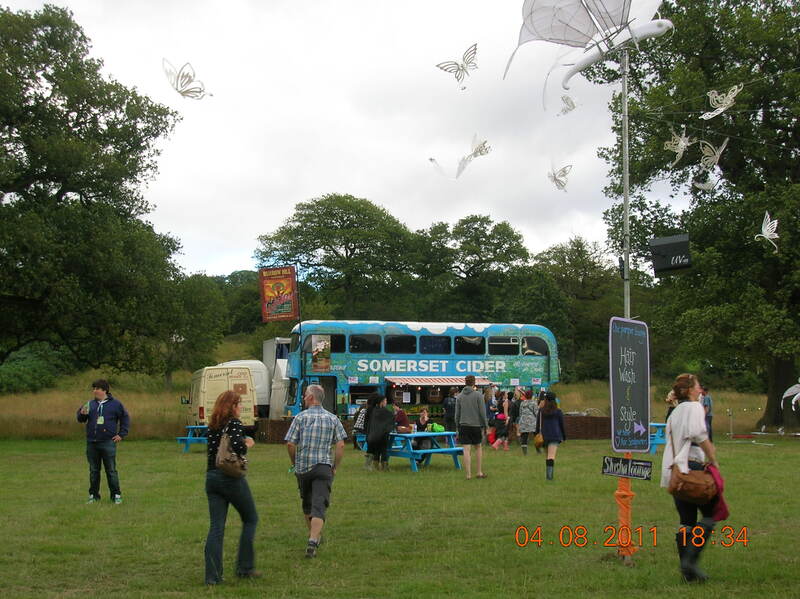 And special mention to some fantastic drinks at the festival too – firstly, the Cider Bus! No matter what the weather, they had an option that just seemed to work perfectly. In the rain, their hot spicy cider warms you up. When it’s overcast their medium cider hit the spot. And when it was glorious sunshine their Orchard Mist(basically a ‘Somerset Pimms; with cider brandy, lemonade, mint and raspberries) refreshes. God bless the apple. And an unexpected boozy treat came from the Grand Marnier tent of all things. My experience of Grand Marnier to date is either marinated oranges, done by my Mum as a dessert, or as part of a Crepe Suzette. Turns out if you mix Grand Marnier, Elderflower Cordial and Soda Water and serve in a jug with oranges, lemons and strawberries you get a Grand Espirit. Or in other words, a little taste of summer heaven. Mmmmmm. 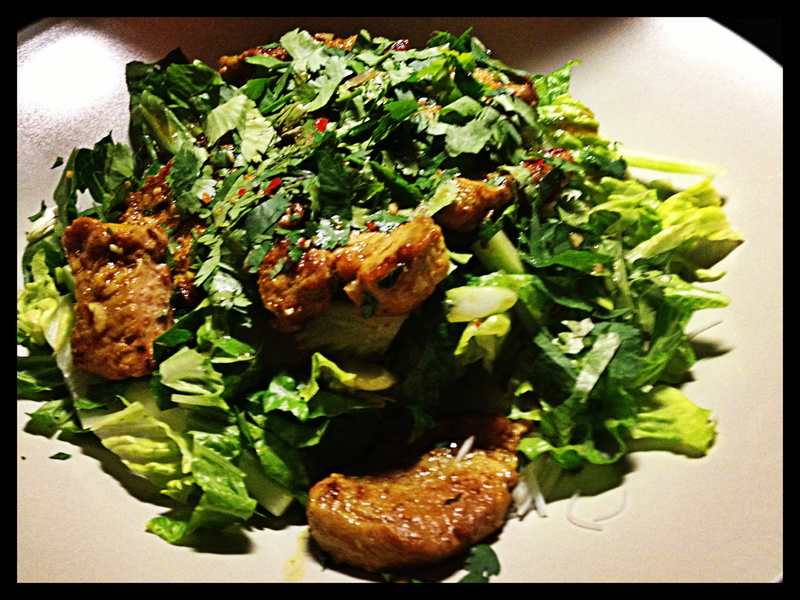 Categories: Restaurant Review | Tags: Booze, Festival, Restaurant, Steak, Thai, Vietnamese | Permalink.